Over its 39-year history, American Life League has made it part of its mission to nurture pro-life groups as they get established to carry on their own unique missions. Among the numerous groups that either started as part of American Life League or that joined ALL for a period of time in their early years were Athletes for Life, Crossroads, Rock for Life, and Rachel’s Vineyard Ministries. Today, ALL proudly announces that its Culture of Life Studies Program is ready to step out on its own. CLSP is no longer part of ALL and has formed its own pro-life, pro-family education organization—Light and Shield Ministries. Light and Shield Ministries will also be the new home of Life Defenders (formerly a program of ALL) and National Pro-Life T-Shirt Day (formerly an event sponsored by ALL). In addition, CLSP will join other pro-life, pro-family programs within Light and Shield Ministries. It’s an exciting time! I am truly excited about the growth and acceptance of the Culture of Life Studies Program. On days like today, I feel like the proud parent who helps her child grow and develop and then watches enthusiastically as he confidently goes out into the world to make his mark. The Culture of Life Studies Program will offer outstanding educational materials to the children of our nation. Godspeed CLSP! Defend the Faith – This is a concerted effort to help priests and bishops obey the laws (canons) of the Catholic Church, especially regarding the protection of Christ in the Eucharist; fight the increased secular drive to further sexualize children; and have Planned Parenthood recognized as an enemy of the Catholic Church. STOPP International – ALL first began fighting Planned Parenthood in 1979 and continues to be actively involved in the fight today. It is the only national pro-life group totally dedicated to helping local pro-lifers close PP facilities in their own towns. ALL publishes a semi-monthly newsletter that focuses exclusively on Planned Parenthood. It is the only publication of its kind in the nation. In addition, ALL publishes several unique annual reports on Planned Parenthood, including a CEO salary report and a report on the location and abortion services offered by every PP facility in the country. Celebrate Life Magazine – ALL’s magazine is the best high-quality magazine in the pro-life movement. It routinely contains articles on adoption, end of life, enemies of life, human dignity, medicine and science, pro-life activism, pro-life champions, sexual morality, and many other pro-life topics. It also always shares inspirational stories of families facing unique challenges. With the departure of CLSP, ALL says that it will be adding additional programs and projects which it will announce over the next nine months. Over our almost 40 years of existence, we have helped several dozen fledgling pro-life groups establish themselves and their unique mission. These groups have gone on to save millions of babies from abortion and thousands more born persons from death through euthanasia and other attacks. We continually work with a great number of groups in the pro-life movement, joining appropriate coalitions, helping determine strategies, providing expert scientific analysis, and most importantly, saving babies. As a Catholic organization, we have been actively involved in Church matters for decades. It is a distinct honor to serve God and to work in a myriad of ways to bring His love and truth to a society that needs both. 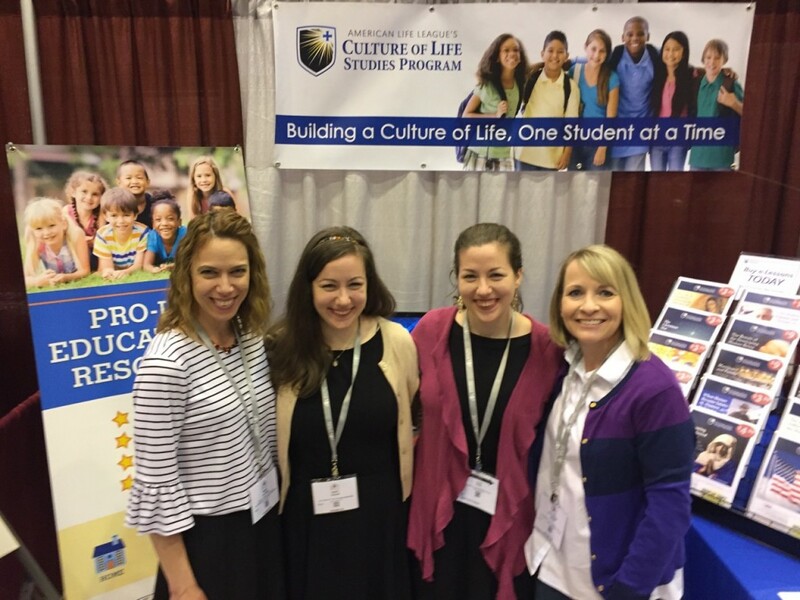 Visit the CLSP website to learn more about the Culture of Life Studies Program and its plans for helping return our culture to a culture of life.